One Million People - a big con or great concept?! | Work Smarter, Not Harder! « Work Safely When Driving at 70mph! One Million People – a big con or great concept?! One Million People is the brain child of One Million Dollar Homepage creator Alex Tew. The project revolves around the concept of capturing the faces one million people who are part of the digital generation! You pick a square on the 1250 page virtual book, pay your $3 and upload your photo. Woah, so this guys going to earn $3,000,000 if he fills the book up?! Yup, great concept eh! You’ll have noticed if you clicked the first link in this post that I’ve already splashed out my $3 to appear on page 1 on the book and am keen to see how quickly this project goes viral like his previous project. Can I buy lots of spaces to put a bigger picture on? Please read the sites FAQ before buying as the rules on what is and isn’t acceptable are all laid out. What about buying lots of spaces up to re=sell as the book gets full? Great idea but unfortunately that’s banned too! You can reserve spaces for loved ones / family members but these must be assigned within 30 days of purchase. I’ve bought 4 other spaces which I will invite friends and family to take up later! So once it’s full then what? Alex is planning for the book to then be sent off into print with an estimated retail price of $100. If the book ever does get completed and into print I would expect that the price of the book would have to be significantly lower to sell well! Hell even if I’m on page one I’m not going to pay that sort of price to show the book to everyone who visits my home….or maybe I will! So brilliant idea or giant scam!? Having seen how the media and world took to Alex previous venture I decided for $3 it was worth investing in! In marketing people still talk about the original venture created by Alex and there is every sign that this project can go down the same route! If you are on One Million People then please feel free to leave a comment below and tell us where you are! 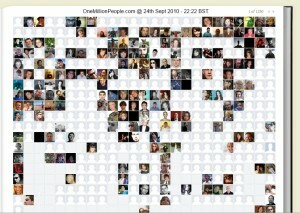 This entry was posted by Jon Cook on September 24, 2010 at 10:24 pm, and is filed under Blog. Follow any responses to this post through RSS 2.0.You can leave a response or trackback from your own site. Updated : One Million People – Now Free! | Work Smarter, Not Harder! 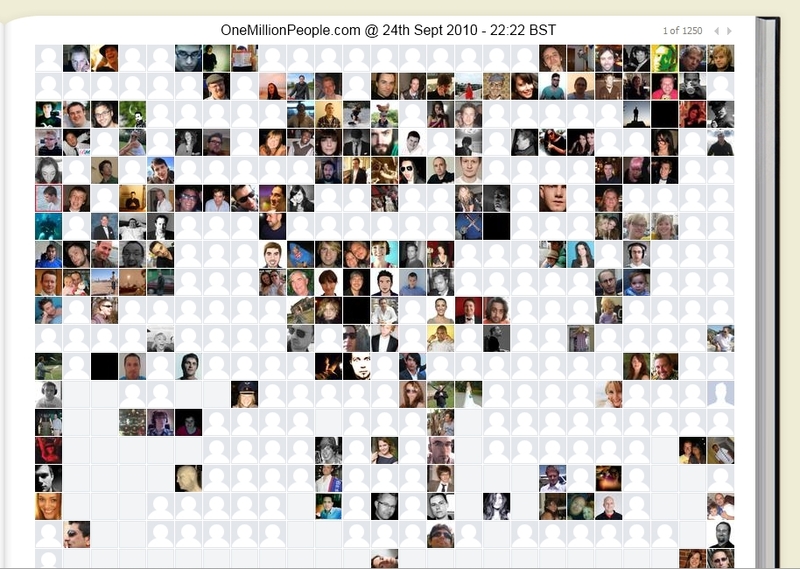 Updated : One Million People – Now Free!